There are loads of saltwater fishing opportunities in Scotland, and I’ve pulled together a few of my favourites here, where I think I know enough to give any advice! Loch Etive – easily accessible to me, and a favourite winter venue. There’s a very long list of possible species, but the core ones are spurdog, thornbacks, LSD and whiting, plus numbers of codling, ling, pout and poor cod, gurnard and mackerel. 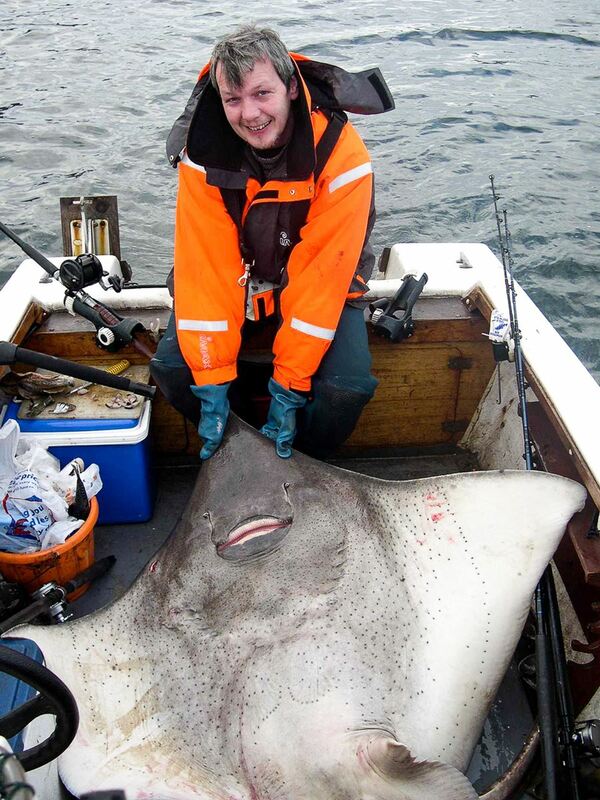 Loch Leven – excellent chance of thornback rays from shore or boat here, plus a range of other species. Smaller, shallower and less daunting than Etive or Sunart it makes another great winter venue when the midges have died off. If you’re hardier/more bug proof than me you should be able to fish the summer too. Loch Sunart – a little harder to reach, and often a very dour loch to fish, Sunart offers better quality fish (including conger and skate) but fewer of them, and with a smaller range of species. It’s further west than Etive, and more exposed to the elements, so it’s best to actively seek out a decent weather window to fish it. There are many other west coast venues, and your choice will depend partly on where you’re based. Oban offers a good chance of skate, whilst areas such as Kyle of Lochalsh offer reasonable fishing in Loch Duich and Loch Carron. I try and fish Dumfries and Galloway whenever I can over the summer, and you can find my posts on here, but I wouldn’t consider myself knowledgeable enough to write a guide to the area – the choice and range of fishing is massive. 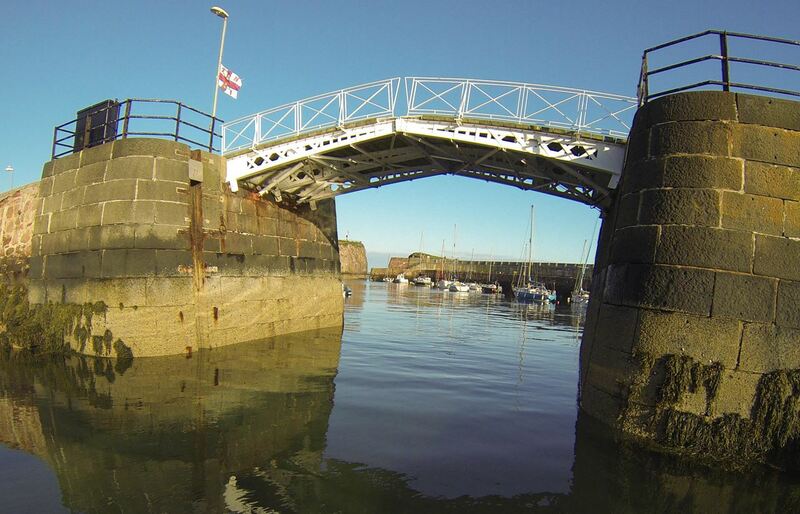 I started sea angling fishing from the rocks at Aberdeen, and spent many hundreds of hours fishing them in all seasons. Fishing is largely for codling, pretty much year round except for maybe mid-March to mid-May when they can be hard to find, plus lots of dabs and numbers of coalies, pollack and wrasse. The excellent plaice fishing we enjoyed from boat and shore during now seems to be a thing of the past, with only small numbers of small fish being taken. Likewise boat fishing is largely an inshore pastime nowadays, rather than hard ground and wrecks that used to produce good cod in the past. However there are still good numbers of fish to be found and I still enjoy the odd day inshore. St. Andrews offers quality cod and pollack fishing, but you’ll struggle to find a launch site and there are no charter boats for hire. The main harbour offering fishing in SE Scotland for private boat owners is probably Dunbar, and nowadays is my local stamping ground, although I find myself fishing it less often in recent years. 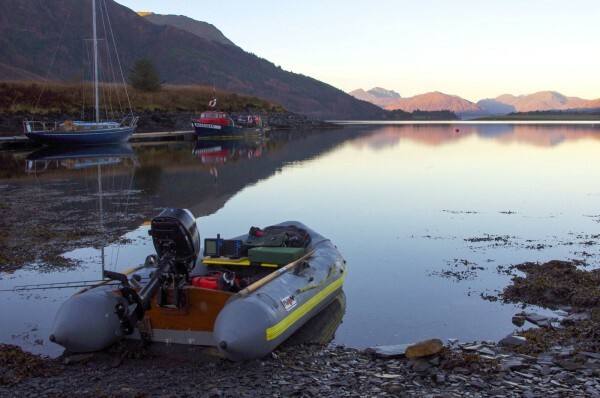 I was very interested in your website as I have a Quicksilver 310 Enduro inflatable with a Mariner 5hp engine, which I have used for fishing on Loch Long for mackeral. I love it to bits, but still gaining seamanship experience and confidence in what the boat is capable of, one of my concerns is only having 5hp is it sufficient? It appears quite capable. I’m no longer worried about punctures from hooks. I have caught spurdogs from Loch Etive from the shore, but concerned in the boat. Drifting is a problem and I was interested that you used a droug perhaps you could give me some details on this. Where would I launch on Loch Etive? I also find it hard work to assembly the boat myself with just a hand pump as I have restricted movement in my back. How do y0u manage? 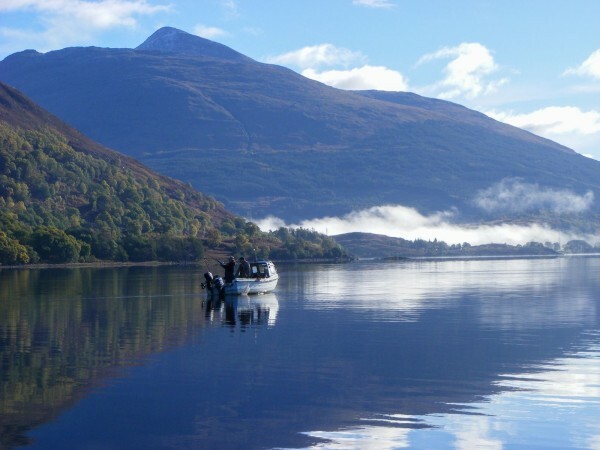 What is the best time of year to fish on Loch Etive? Safety wise I have VHF marine band radio, auto inflate life belt, do you think I should purchase flairs? I am always looking for other lochs to fish in which are shelted, could you suggest any others.